I’m tired of trying to hold everything together, so I let go. I give up and let these things fall down like rocks and stones and heavy frowns. It’s chaos all around us, so drink up. Let us drown our sorrows and never come up for air. I have trouble breathing, you know. Sometimes I can’t catch my breath. Daytime shallow breathing turns to apnea when I’m shrouded in darkness. I flail in my dreams, gasping for another breath, forcing myself awake, back into reality. No matter how much I want to stay down, stay under water, swim with the mermaids and live blissfully in fantasy dreamland, I can’t. My being is programmed to reside in the material world. Weightlessness is not for me. I am required to be grounded. But once in awhile I still lurk near the water and wade in. 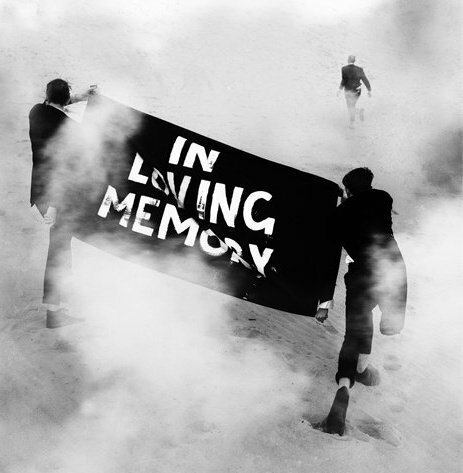 Find this song on ‘In Loving Memory,’ the current release from The Paper Scissors. When do you find it difficult to breathe?